It did have the feeling like some kind of a seminar rather than an entertainment presentation. Hopefully E3(which is where I think most of the pertinent announcements/reveals will be made) has a more worked out format. They didn't show the console itself. They didn't mention at the event if it includes a physical disc drive, such as blu-ray. These were simple to avoid but costly mistakes. The new controller design is a great improvement. It looks heftier and has a 360-esque contour which would finally make holding a PlayStation controller not give me hand cramps. However, I'm pretty set on the reverse dpad/analog design of the 360 controller. It's how my brain is and will likely always be wired. Thanks jeebus for that. If Microsoft had any plans of implementing this, they'll have to reconsider. Otherwise, Sony will surely dominate this gen's console war. One thing to note about the used games bit is if Sony offers games digitally to buyers for the same price as retail, and you can play within seconds of choosing to get the game (much faster than driving to a store) then there won't be nearly as many discs being traded in to gamestop. Why spend gas money, take more time to buy a game on a format that can be lost or damaged, when it can be had now and forever by purchasing on the playstation store? I'm sure more details will unfold in the next months, but I wonder how much bandwidth would be required to have that 'play while downloading' system run without crunching to a halt, or impeding a smooth experience. I'm hoping Sony isn't assuming high-speed connections are the norm worldwide. The frustration of having some digital service function correctly versus going to a shop and picking up a disc ready for play might turn into an issue for some. Props to Sony for pushing their tech but it's good to hear they're not blanketing out the disc market. In an interview after this week's unveiling, Hiroshi Kawano, President of Sony Computer Entertainment Japan, was asked by 4Gamer about the PS4's design. "If I'm being honest, I also haven't seen its final design. Even the controller we showed today, I saw the final design around yesterday or so." That doesn't mean Kawano and other Sony brass have no clue what the PS4 will look like. Certainly, they've seen prototypes and mock-ups—just as they have for the hardware they revealed at this week's event. About the PS4 controller, which was shown at the PS4 announcement, Kawano explains, "I've seen numerous prototypes from when it was still codenamed 'Jedai', and I heard that an onboard touch pad was in the final specs." Add Kawano's comments to Sony Computer of America boss Jack Tretton's remarks that the "mass-production box" was "still in development in terms of final specs and design", and, yes, you can see why Sony didn't wheel out the PS4. It wasn't just because, as PlayStation's Shuhei Yoshida told Kotaku, Sony wants there to be something for you to look forward to. It's because Sony still doesn't know what the final machine will look like. Sony has released a batch of high res screenshots of the PlayStation 4′s user interface. The screens show a number of various aspects such as the downloads library, social profiles, mobile platforms, live streaming options, and much more. 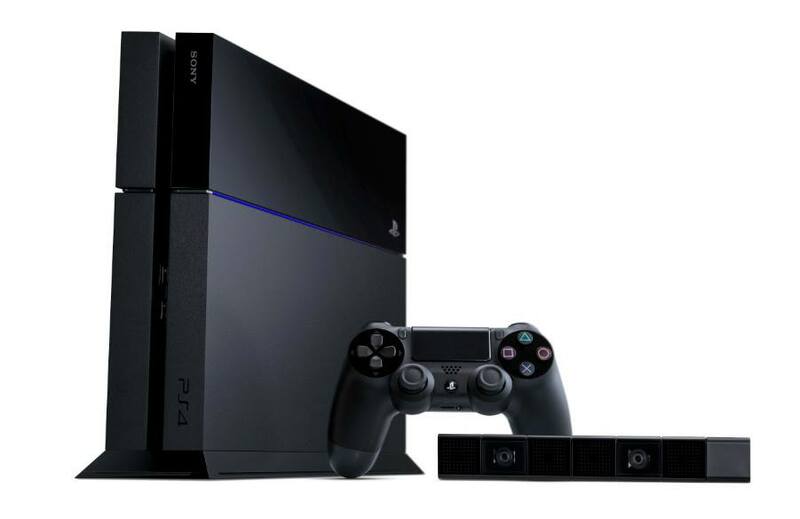 Hopefully we can see the PlayStation 4 itself at E3. The 4K movies I can't really see much use from if it is a download service. If you can watch while it downloads, you'd need a fast connection to not have any pauses for buffering. If it is download, then watch, it'd be a huge portion of a hard drive. Streaming makes sense, except for buffering again. However, I don't see people wanting to keep 100+ Gigabytes of one movie on their hard drive after they've watched it already. So I don't think a download will be wise, just streaming if the network is fast enough. The creative director of Heavy Rain studio Quantic Dream has suggested that his mystery PS4 project will provide a distinct visual leap over current generation technology. In an interview with CVG, Cage assured that the graphical quality of his upcoming project (Beyond: Two Souls) is entirely representative of PS3 capabilities and not a next-gen upgrade. There has been some suspicion that the project, starring Ellen Page, was in development for both consoles, and that the highly detailed renders of the game were of the next-gen version. "I know that some people are surprised by what we can do on PS3 with Beyond, and we have heard many people even question whether this is a current-gen game. But trust me, if I showed you what we're doing with the PS4 you would be amazed. It's really surprising. It's another world," Cage said. He added that the key features of the next console cycle will be "more subtlety, more nuance, more detail". In February, during Sony's official PlayStation 4 press conference in New York, Cage took stage to showcase early demonstrations of what the studio can do with the advanced tech. A growing number of developers have praised Sony's new system for both its perceived developer-centric approach, along with its 8GB of super-fast GDDR5 unified memory. Epic Games exec Mark Rein has likened the PlayStation 4 to "a really perfect gaming PC". However, the console's architecture is completely different to the Cell-based PS3, meaning that it is unlikely that games such as Beyond will be coded and rewritten for both systems. Is it enough to matter? Who knows. The next 5-10 years will see many ups and downs for both Microsoft and Sony in this latest round of the console race. 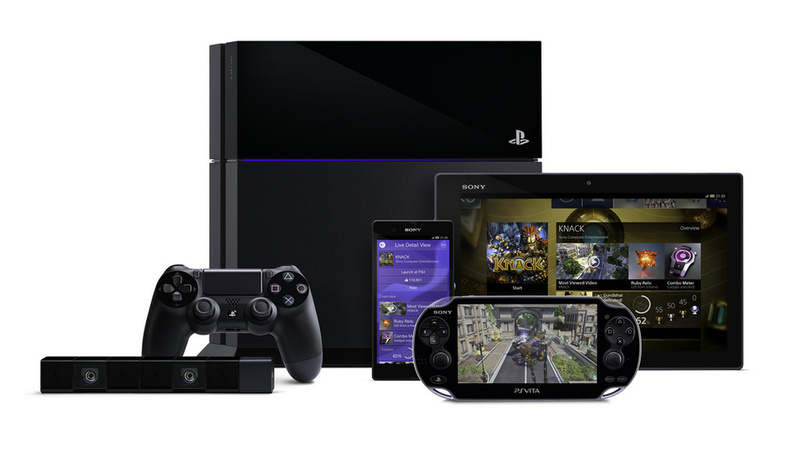 Sony's exclusives might under-perform. Microsoft's new Kinect could be seen as a wonder-device, much like Nintendo's Wii Remote, unlocking mass market sales. To determine a "winner" in this contest before a console has even been sold would be crazy. Wasn't staying up to watch Sony's event so just watched bits this morning, they've well and truly pissed all over MS's chips and fair bloody play to them, hopefully MS will back track (again) and change their stupid features, won't happen though! The PS4's lack of online requirements or used games DRM has been cause for celebration for many, but for me, as someone who lives in neither the US or Japan, one thing was even more important. Whether the PS4 was, like its predecessor, region-free. According to SCE boss Shuhei Yoshida, it is.